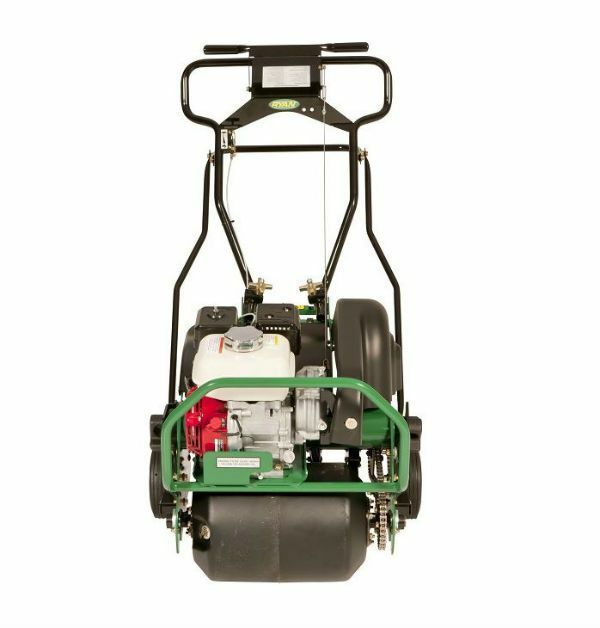 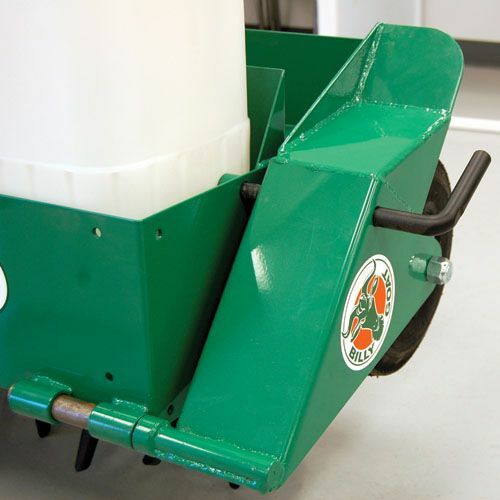 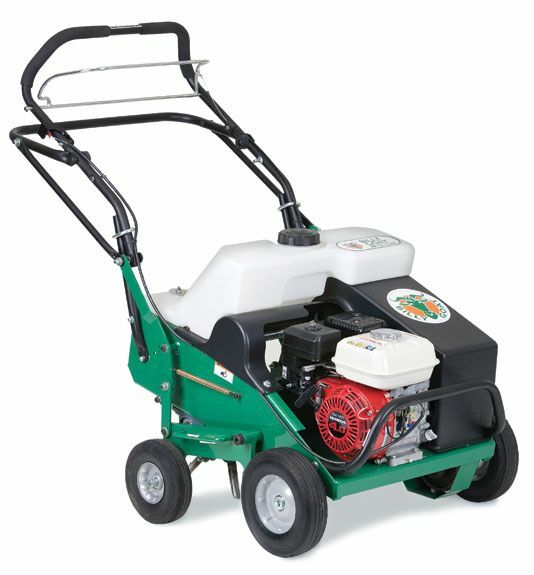 For larger property aeration, the Billy Goat tow-behind AET48 Aerator is the ultimate in productivity and flexibility. 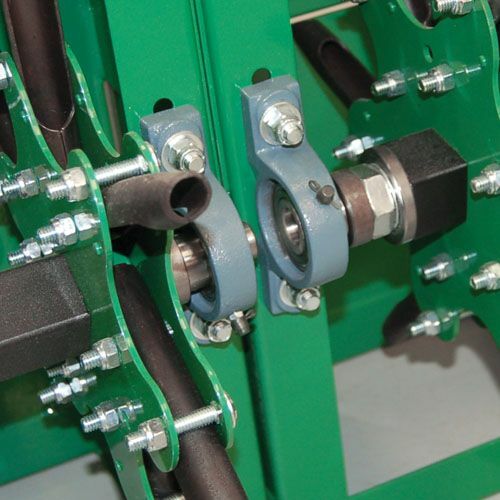 The standard 48” modular unit easily configures down to 24” and features interchangeable parts. 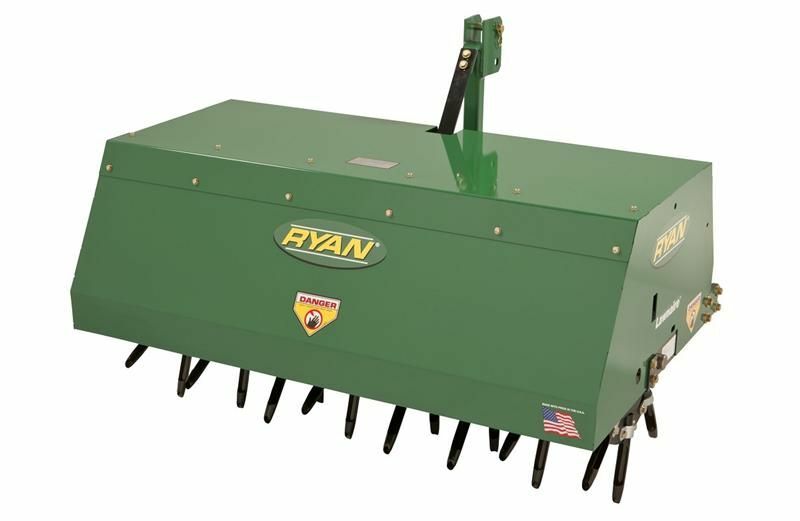 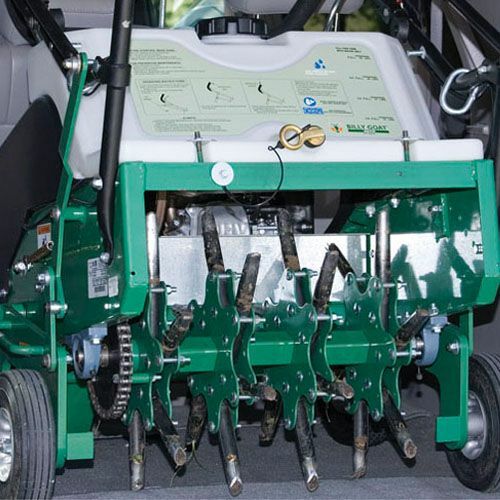 Each 24” unit has four tine stars with six tines each that core up to 3” deep. 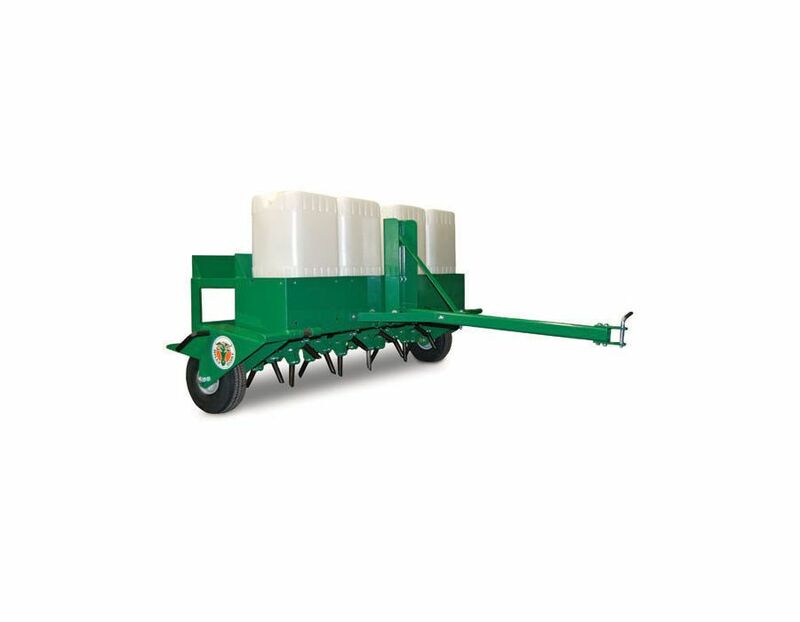 The unit can be configured up to 72” wide with the optional AET expansion kit (Part No. 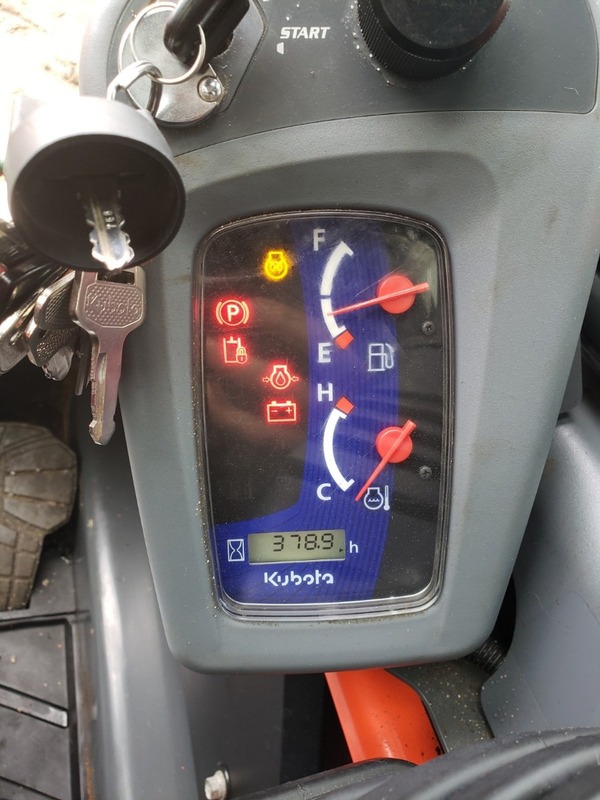 361273). 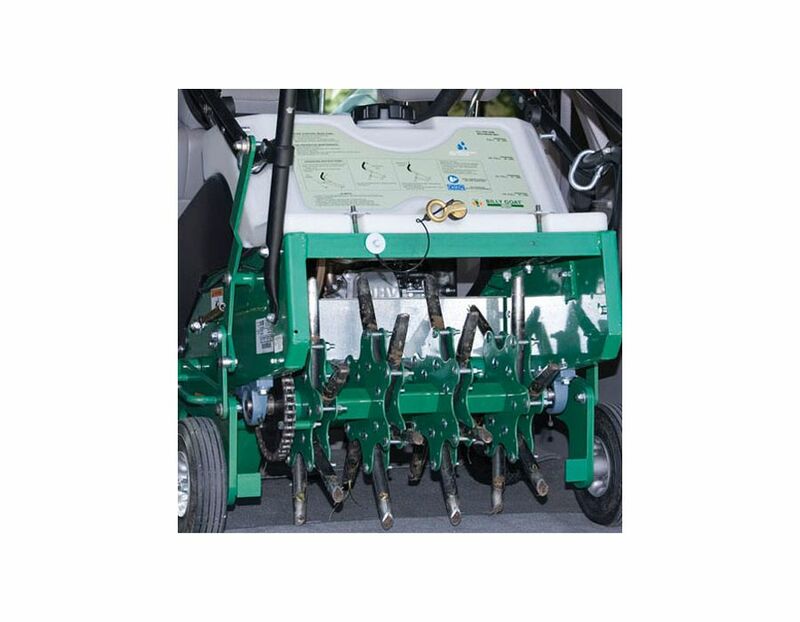 Optional water weight jugs eliminate bulky steel weights, and are positioned directly over the tines for better aeration depth. 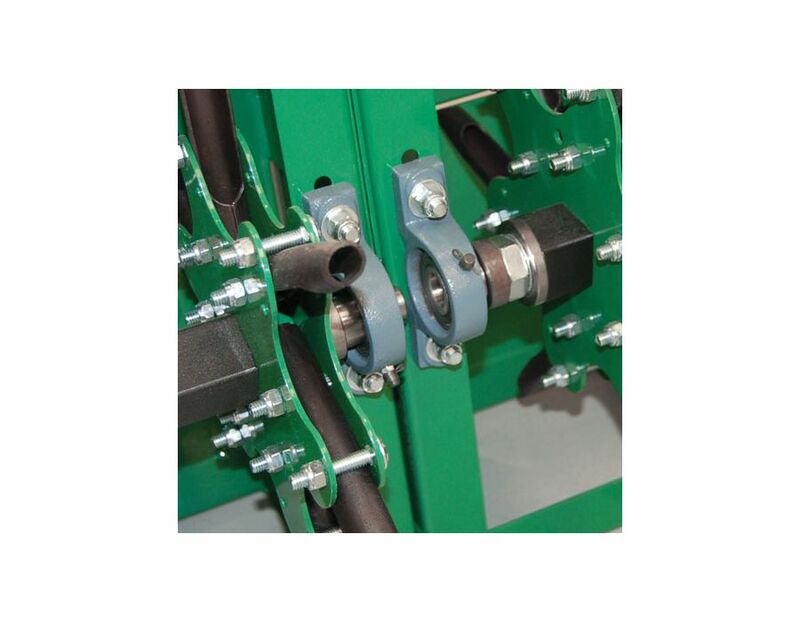 Tilt up Serviceability - "O" ring chain, pillow block bearings and replaceable tine stars for best in class serviceability. 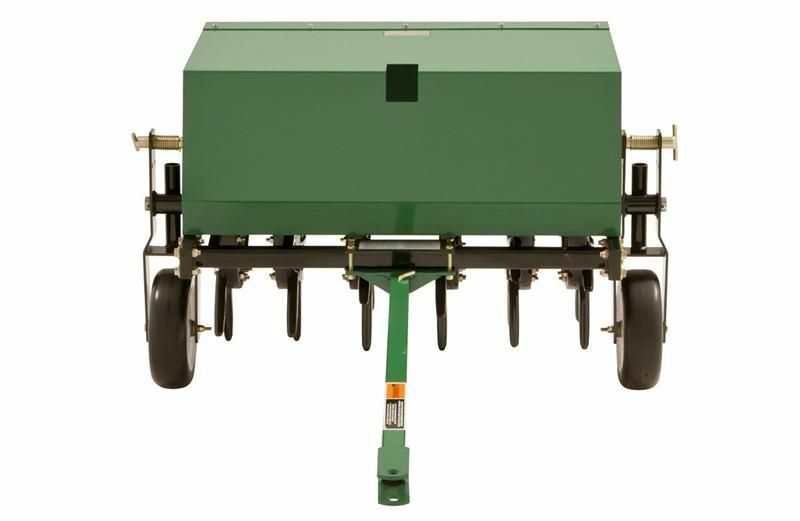 Tine Depth - Up to 3"
Dry Weight - 240 lbs. 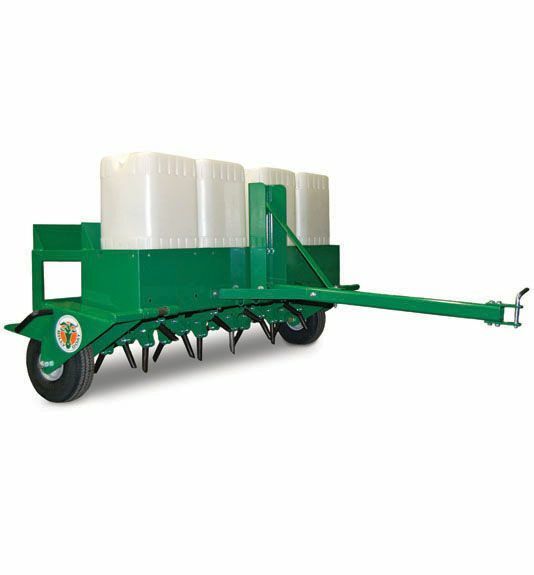 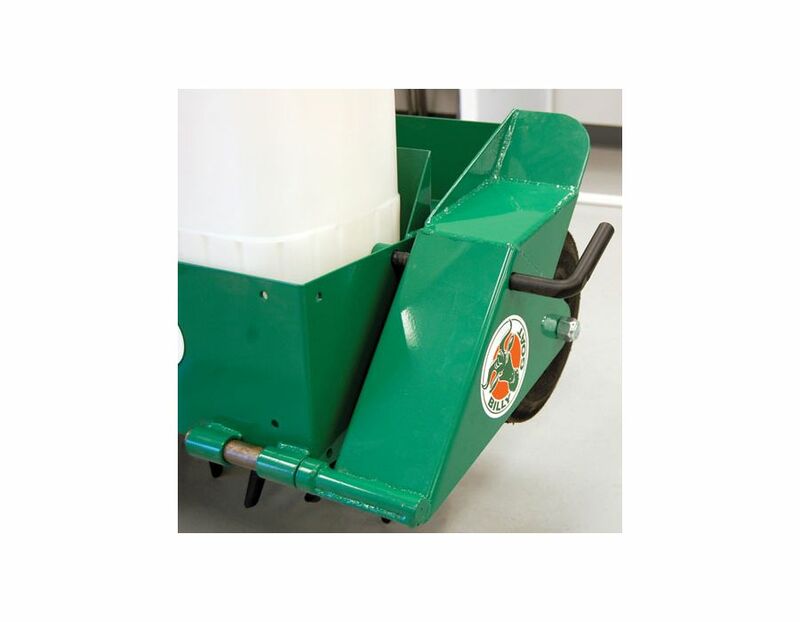 The Billy Goat Tow Behind Aerator model AET48 is available at Kooy Brothers Equipment Ltd. located at 1919 Wilson Avenue in Toronto, Ontario.